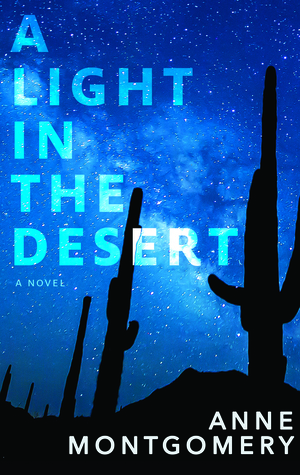 A Light in the Desert traces the story of a lonely pregnant teenager, a Vietnam veteran and former Special Forces sniper who, as he descends into the throes of mental illness, latches onto the girl, and a group of Pentecostal zealots – the Children of Light – who have been waiting over thirty years in the Arizona desert for Armageddon. The Amtrak Sunset Limited, a passenger train en route to Los Angeles, is derailed in their midst’s, a deadly act of sabotage. Their lives are thrown into turmoil when local and state police, FBI investigators, and a horde of reporters make camp by the twisted wreckage of the Sunset Limited. As the search for the saboteurs continues, the authorities find more questions than answers. The girl mysteriously vanishes, the assassin struggles to maintain his sanity, and a child is about to be born in the wilderness. This story is part fiction and part fact which seamlessly flowed together so I didn’t know where one began and the other took over. All of the main characters in the story have major issues with their lives and find it hard to be accepted into society. Jason is an ex-sniper that served in Vietnam but an incident left him suffering from a mental illness that affects his daily life. He has self medicated but has weaned himself off the meds he was buying way too quickly, causing his condition to begin to take control of him again. Kelly was born with a facial deformity that most people found repulsive, including her mother, which has left her with no self-esteem, no education and very vulnerable. Now at sixteen her step father has abused her and she is approaching the last trimester of pregnancy. A religious cult, the Children of the Light, have taken her in, giving her care and support for the baby to be born. The third character Billy, was abused by his father, when he was a child, until he eventually got away, well now he is back and much bigger and stronger but a really troubled young man who has mass murder on his mind. One of them wanted to be forgotten for what he had done, one wanted to be remembered for what he would do and the other just wanted acceptance for who she was. They had all slipped the net that should have been there to protect and help them. This is a fascinating story that took me along with the flow as their roles at times changed. The author had clearly under taken massive research for this story then had woven a believable story round the facts. I really enjoyed all the different characters, both real and made up. The descriptions of the setting, in the Arizona desert, were brought to life beautifully, including all its dangers. I also thought that the train derailment was very well done. There was enough description to conjure up the horrors of what had happened without it being too graphic, a perfect balance. The ending I really enjoyed. 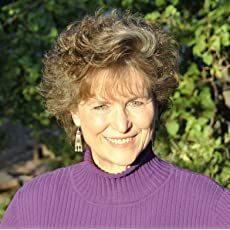 Anne Butler Montgomery has worked as a television sportscaster, newspaper and magazine writer, teacher, amateur baseball umpire, and high school football referee. Her first TV job came at WRBLaTV in Columbus, Georgia, and led to positions at WROCaTV in Rochester, New York, KTSPaTV in Phoenix, Arizona, and ESPN in Bristol, Connecticut, where she anchored the Emmy and ACE awardawinning SportsCenter. She finished her onacamera broadcasting career with a twoayear stint as the studio host for the NBA’s Phoenix Suns. Montgomery was a freelance and/or staff reporter for six publications, writing sports, features, movie reviews, and archeological pieces. Her novels include: The Scent of Rain, Nothing But Echoes, and A Light in the Desert. Montgomery teaches journalism at South Mountain High School in Phoenix, is a foster mom to three sons, and is an Arizona Interscholastic Association football referee and crew chief. When she can, she indulges in. Thank you so much, Susan, for taking the time to read and review A Light in the Desert.